Hundreds of additional police deployed to prevent Arab violence during Friday prayers after Trump's recognition of Jerusalem. Israel deployed hundreds of additional police and Border Police officers to reinforce the security forces stationed in key areas around Jerusalem, Judea, and Samaria ahead of expected protests during Friday Muslim prayers. Palestinian Arab groups called for 'days of rage' in response to US President Donald Trump's decision to recognize Jerusalem as the capital of the State of Israel. The Palestinian Authority, led by chairman Mahmoud Abbas, cancelled school in the PA to encourage students to protest Trump's decision. The IDF is concerned about incitement to violence on Arab social media. IDF Chief of Staff Gadi Eizenkot ordered the reinforcement of the security forces in order to prevent terror attacks. "Several hundred additional police and border police have been deployed inside and in the vicinity of the Old City," police spokesman Micky Rosenfeld told AFP. Jerusalem District Commander Yoram Halevy told reporters that the police intend to allow Friday prayers to take place without restrictions. Dozens of Arabs rioted in eastern Jerusalem yesterday in response to Trump's announcement. 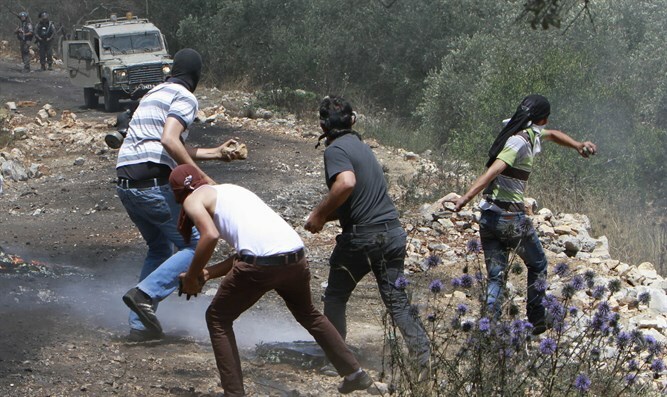 Riots also occurred in Judea and Samaria and in the Gaza Strip. Approximately 100 rioters were arrested, according to the International Red Cross.